The rise of the Philippine IT-BPO Industry has seen an accompanied increase in staff leasing services , including the recruitment of SEO Specialists, Web Developers , Webmasters, Copywriters, Programmers, Data Encoders, Virtual Assistants , and Contact Center Agents. Staff leasing or staff augmentation is considered a hassle-free hiring solution for foreign and local companies doing business in the Philippines. Not only does it eliminate Human Resource (HR) costs and payroll, staff leasing or staff augmentation also minimizes administrative responsibilities, and enables small and medium-sized companies to expand their business operations to different client markets. Larger companies also benefit from the arrangement, which offers cost-effective human resource management, employee payroll, compensation services, risk management assistance, training, and development. 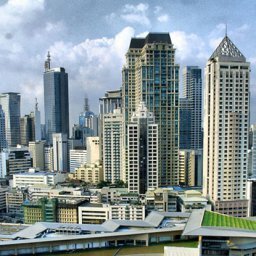 Staff Leasing in the Philippines is increasing at a rapid rate. More and more foreign and local companies are now availing of staff leasing services in the country. This is primarily because the Philippines is the third largest English speaking country in the world, and boasts an excellent, English literate workforce. The literacy rate in the Philippines, at 93%, is also the highest in Asia. According to statistics from the Meta Group’s Global Economy Index, the Philippines topped the job knowledge index-beating out over 47 countries-and was praised for the information processing skills of its workforce. Staff augmentation is a simple, hassle-free process, and is almost similar to HR Recruitment and Headhunting. The only difference is that employees are evaluated by the staff leasing company even after the hiring process has been completed, and are continually managed to suit your company’s needs. The leasing company also eliminates tax and insurance concerns for your enterprise, essentially co-employing your employees.